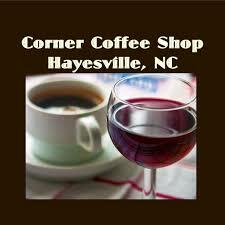 Open Mic Night | Clay Co N.C.
HAYESVILLE, N.C. – Several dozen attendees turned out for premier open mic night at the Corner Coffee and Wine Shop Friday, Jan. 18. The event featured nine storytellers, poets, and singer-songwriters. Participants from Hayesville, Andrews, and Brasstown entertained the crowd. “We also had folks from Hiawassee and as far away as Lawrenceville, Georgia, telling stories and reading poetry,” Kanute Rarey, an event founder, informed, “We appreciate the presentations by Bob Grove, Loren Leith, John Howard, Denise Mount, Jim Davis, Ed Reid, and P.J. Savage.” Kanute and co-founder Gayle Cox delighted the audience with a few tall tales of their own. 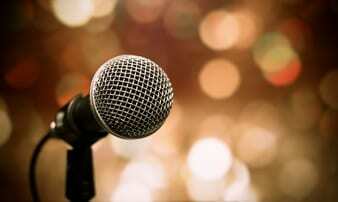 The next open mic night is scheduled for Friday, Feb. 22. “We are looking for more singer-songwriters next time,” Cox said.